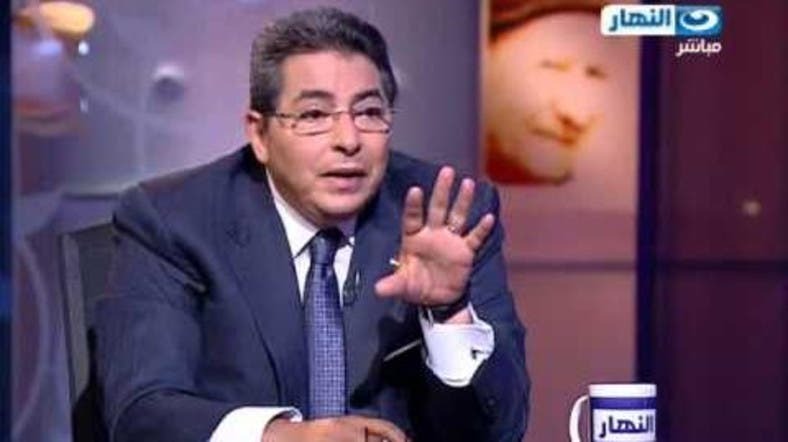 Egyptian talk show host Mahmoud Saad has been taken off the air following a decision by his own channel that accused him of being too critical of authorities, Ahram Online reported. Saad hosts “Akher el-Nahhar,” a political talk show aired on the privately-owned al-Nahar TV. In a statement released the following day, the station condemned any acts that may “demotivating the army,” but did not cite that as the reason behind Saad’s suspension. Al-Nahhar will be making “substantial changes” to its political and current affairs programs, in addition to its live programs, according to Ahram Online. “The channel will prohibit the appearance of a number of guests who promote ideas that weaken the morale of the Egyptian army," the statement said. Earlier this week, Egyptian forces witnessed the deadliest attack in years which left more than 30 soldiers killed in the Sinai Peninsula. Like many other Egyptian media personalities that went on air following the attack, Saad donned a black tie in solidarity with the soldier’s families. A statement from the channel criticized comments which came from psychologist Manal Omar, who had been hosted in the show. Omar had been continuing a series of episodes analyzing the personality of Egyptian President Abdel-Fattah el-Sisi. “During her analysis, Omar recalled El-Sisi's words, as Egypt's defense minister during a celebration of the army in October 2013, about how the Egyptian people stood in solidarity with the military during the defeat of 1967. The statement of the channel criticized speaking about the memory of the Naksa — the humiliating military 'setback' of June 1967 — at a time when Egypt was mourning the death of 29 soldiers killed in terrorist attacks in Sinai,” Ahram Online explained. The statement read: "At the time where we should be crying at the great loss of our defenders in Sinai, the guests went to recall the 1967 defeat."